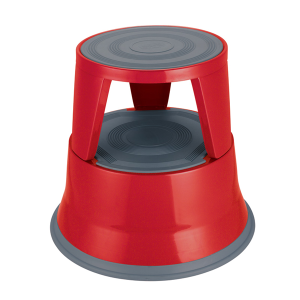 This practical kick stool offers a safe, stable choice for low level access. Ideal for offices, homes, shops, archives and libraries. Made from strong, impact resistant plastic with a non-slip top surface. 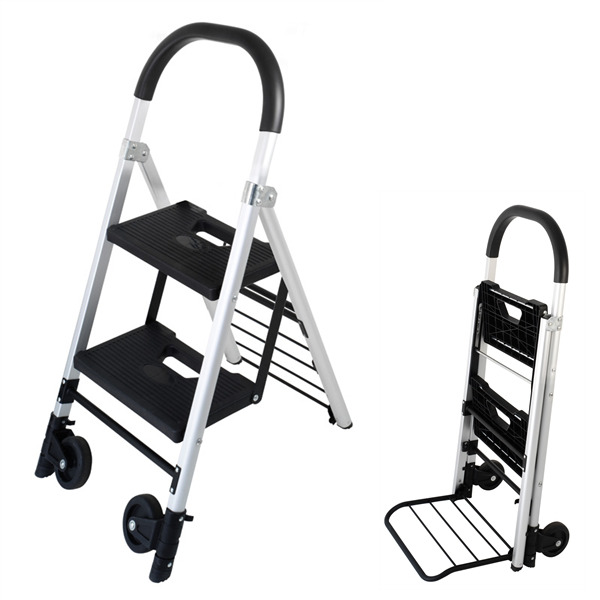 Mounted on spring loaded castors which retract when stood upon, the mobile stool can be moved with ease to various locations. This versatile kick stool offers a safe, stable choice for low level access. Made from strong steel with a tough powder coated finish. 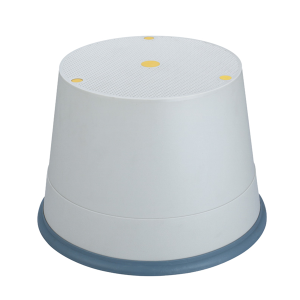 Non-slip rubber step and top. Unique folding 2 step ladder that also doubles as a hand trolley. Strong metal construction with black impact resistant plastic steps. Once folded it can stored away easily. 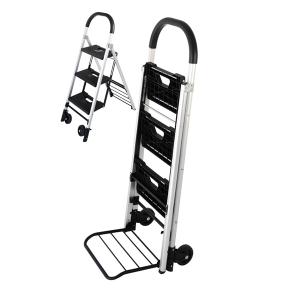 Unique folding 3 step ladder that also doubles as a hand trolley.